Railway Union jumped up three places in the women’s EY Hockey League with a huge 5-1 away win over Belfast Harlequins as Zara Delany netted a hat trick.The result continues their superb form, winning 11 points from their last five games in addition outdoors to landing the National Indoor Trophy recently.They bossed their tie at Quins throughout and could have scored more but for the fine work of Marianne Fox. She kept it tight in the first half when Cecelia Joyce’s goal was cancelled out by Claire Weir.But Railway did not look back when Delany scored her first from the spot in the 45th minute, quickly followed by a Kate Lloyd goal. Delany added another couple in the closing minutes and even missed a stroke against an unpadded goalkeeper.They go ahead of Belfast Quins and Cork Harlequins, too, on goal difference despite the Munster side’s 3-0 win at Old Alex. Rebecca Barry smashed in the first before Michelle Barry and Caoimhe Perdue made the game safe in the second half in a dominant performance. It was their fourth win out of five on the road this season.The top two also won. Pegasus were made to work all the way by Pembroke but first half goals from Shirley McCay and Michelle Harvey sent them on their way to a 2-0 win.Loreto ran up a 6-0 success against Muckross in Donnybrook to maintain their single point lead over Pegs.Elsewhere, Ards retained Ireland’s place in the third tier of European indoor hockey when they beat Welsh side Whitchurch 3-2 and Slovenia’s Toplice 5-2. It means Railway will play in the EuroHockey Indoor Challenge I in 2020.In EYHL Division 2, Catholic Institute and Monkstown moved within touching distance of the playoff places with healthy Saturday wins in Pool B. Roisin Upton scored twice as Insta made it five wins from five, beating Lurgan 3-0 in Ulster.It means they need just one draw from their last three games to advance. Monkstown beat NUIG 4-0 to stay in hot pursuit of the Limerick side. Should they win their meeting with Dungannon on March 9, it means both sides will be through in any case.In Pool A, Queen’s moved eight points clear thanks to their 4-1 win over UCC with Emily McStea scoring twice. Belfast Harlequins' chances of making the EY Hockey League play-offs nosedived as Railway's received a boost after the Dublin side comprehensively outplayed theirs hosts with a 5-1 win at Deramore, with Zara Delany claiming a hat-trick.Indeed, the scoreline flattered Davy Frazer's side, who could have been beaten by a bigger margin had it not been for the heroics of home keeper Marianne Fox and some wayward finishing from the visitors.Railway could have been out of sight in the first quarter after carving out six clear cut chances in the opening 12 minutes.Irish international Sarah Hawkshaw (twice) and Delany both shot wide early on and Kate McKenna and Kate Lloyd were both denied by Fox, who then made a great save from Kate Lloyd.The Dublin side broke the deadlock in the 24th minute when Cecilia Joyce scored from a penalty corner before Claire Weir equalised on the half-hour against the run of play. Delany made it 2-1 from the penalty spot in the 45th minute and Lloyd added a third with 11 minutes left when she scored from a rebound after Hawkshaw's initial shot had been saved.Delany completed her hat-trick with two more goals in the last three minutes to complete an emphatic victory, twice scoring into an empty net after Quins had withdrawn Fox to have an extra outfield player.The biggest cheer of the day from the home fans came when, with Railway leading 4-1, Quins' kicking back Rachel Johnston brilliantly saved Delany's penalty stroke with her stick.The pair sportingly shared a high-five and a giggle immediately after the incident before Delany had the last laugh when she completed her treble. Loreto ran up a strong 6-0 win over Muckross to maintain their place at the top of the women’s EY Hockey League table. They had the majority of the play in the first quarter but Ellie McLoughlin kept things scoreless with key saves from a pair of penalty corners.From their third set-piece, they broke the deadlock with Hannah Matthews – in the injector’s position where she netted a last minute winner a week earlier – making no mistake from a switch move. It became two in the 24th minute when a shot well saved by McLoughlin was caught on the rebound by Siofra O’Brien and sent high into the net. Two became three seven minutes into the second half from a scrappy corner breakdown, Nicci Daly firing a rising shot into the goal from the left of the D. Matthews got her second from a penalty stroke and Loreto added an extra gloss to the scoreline in the last five minutes. Ali Meeke slotted one from a corner and she then assisted by flicking into the circle for Mia Jennings to deflect in mid-air to send in the sixth. Cork Harlequins continued their excellent away form with a fourth win from five road trips, lifting tem up fifth place in the women’s EYHL table.They had already threatened a couple of times before Olivia Roycroft’s cross from the left found Rebecca Barry who applied a rocket of a finish in the eighth minute for 1-0. Quins went on to win seven first half penalty corners but, like last week against Loreto, could not make them count with Michelle Barry’s shot onto the post the pick of their efforts. Rebecca Evans’ number one running was a feature of the Alex defensive effort while Pam Smithwick produced some incredible reaction saves. The second did eventually come from corner number eight when Cliodhna Sargent picked out Michelle Barry who trapped and lifted into the goal. Alex got more into the tie after that with Aine Connery at the heart of things but they did not unduly threaten Becky Maye’s goal other than Hannah McDermott tipped wide. And Quins put the game to bed from yet another set piece as Yvonne O’Byrne slid the ball to the left of goal for Caoimhe Perdue to tap in. Freya McDermott hit the post from a late Alex corner but Quins had their fifth win of the campaign with a little to spare. Pegasus 2 (S McCay, M Harvey) Pembroke 0 Pegasus bounced back from their defeat to UCD with a solid 2-0 win over a dangerous Pembroke to keep the pressure on Loreto at the head of the table. Shirley McCay opened the scoring just three minutes into the game from a straight shot from a penalty corner, a lead which was augmented just before half-time by Michelle Harvey.It remained that way through a scoreless second half as Pegs landed their eighth win of the campaign, sitting second one point behind Loreto. 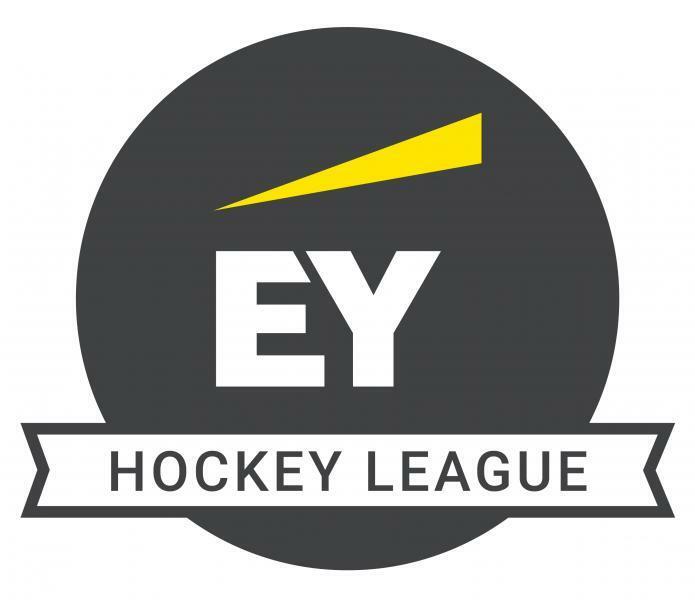 Catholic Institute moved within touching distance of the playoff stages of the women’s EY Hockey League Division 2 as they swept to a 3-0 win at Lurgan. Roisin Upton was the inspiration, scoring twice with her first coming from a 17th minute penalty corner drag-flick. Laura Foley added the second with 10 minutes to go following great work from Anna Horan. Upton then completed the win from a penalty stroke, making it five wins from five and putting 14 points clear of Dungannon. The Ulster side can just about catch them if they win four out of four games and Insta lose their last three. Monkstown are close, too, following their strong 4-0 win over NUIG in Dangan. Rosie Carrigan and Ailish Naughton scored within a few minutes of each other before Naughton made it 3-0 before half-time. Amy Etherington’s goal three minutes from time completed the win. Should Town beat Dungannon on March 9, the playoff places from this group will be confirmed. In Pool A, Queen’s extended their lead at the head of the table to eight points with a 4-1 win over UCC at Malone. Emily McStea got them one up at half-time before Erin Getty’s battling gave them extra breathing room at three quarter time, 2-0. A further McStea goal and one from Claire Whiteside was countered by a Christina Dring effort in the final quarter. Corinthian meet Trinity on February 27 in a crucial tie in this group.